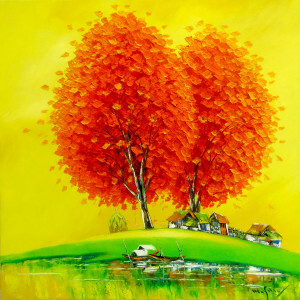 This is a beautiful piece. 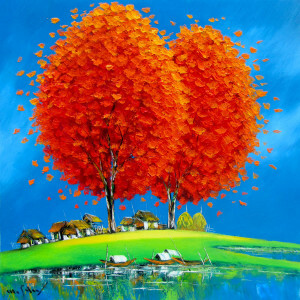 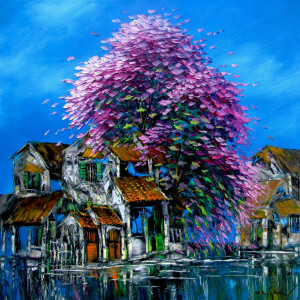 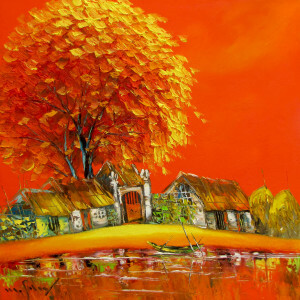 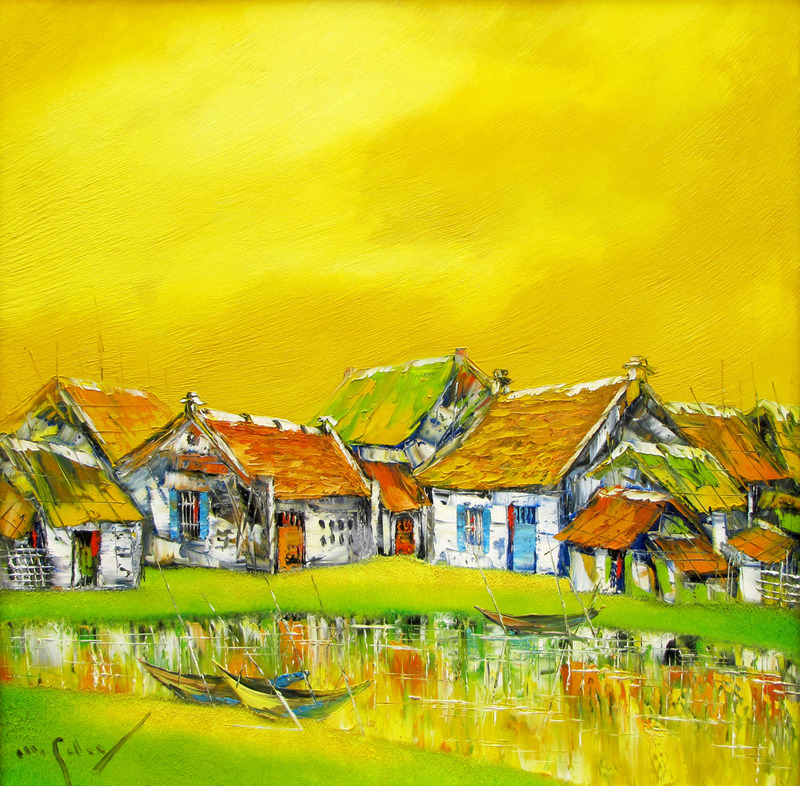 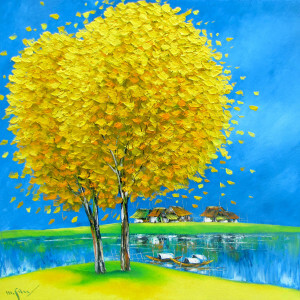 Contemporary Asian artist Nguyen Minh Son’s composition “My Hometown” is done in his signature landscape painting style. 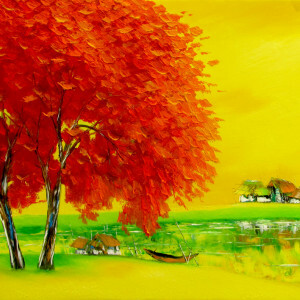 One feels a sense of tranquil happiness looking at the painting done using warm happy hues. 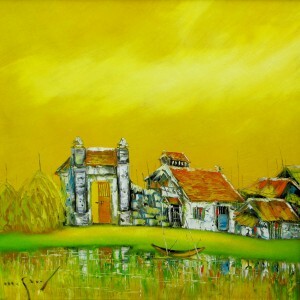 The perfect artistic symmetry achieved in the composition by the straight line of houses behind the clear still water with boats anchored, is very attractive.